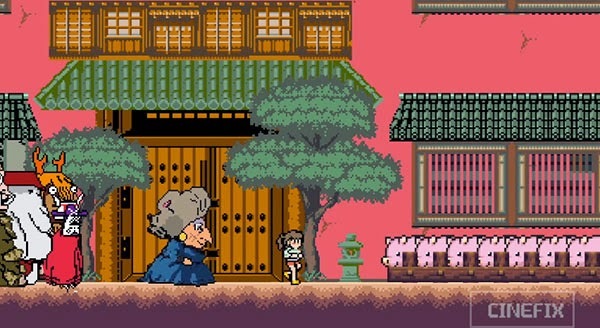 Somehow, looking at Hayao Mizayaki's Spirited Away retold in old-school 8-bit brings me back to the days when I used to play video games. The four minute version of the 2001 Japanese anime movie was created by CineFix using Adobe Photoshop and editing software After Effects. Other movies from their popular YouTube channel which got the 8-bit makeover include Guardians of the Galaxy, The Avengers and Frozen. The short video game clips are appealing because of a combination of nostalgia and artistic merit. Watch the Behind the Scenes video below to see how they did it.